Learning. It’s all in the mind. Learning is the process of acquiring knowledge through study, experience, or being taught. The organ responsible for learning and memorising what we have learnt is the brain. The brain is a highly complex organ and as such has been the subject of numerous studies over the years. Those studies have provided us with some understanding of its behaviour and research continues. For example, in a report published by The British Psychological Society (Nov 2014) they discuss research that has “examined the possible role of brain structure and function. For example, recent brain imaging studies have examined patterns of blood flow and electrical activity in the brain. Some studies have found differences in structure (e.g. volume of ‘grey matter’ in certain areas) and function (e.g. more or fewer signals appearing to pass between different areas)”. The report is an overview of the current understanding and knowledge about psychosis and schizophrenia and is highly relevant in the context of our understanding of the various functions of the brain when considering learning. The knowledge is an interesting learning journey, taking the average person around 4 years to complete. Prospective taxi drivers must memorise over 300 routes around London, made up of 25,000 streets and 20,000 landmarks. Committing this volume of information to the brain is clearly possible (there are 25,000 licensed black cab drivers), but it takes perseverance and time. One of the reasons that time is a critical factor is that the learning process is linked with the development of the grey matter in the brain. Learning literally exercises and improves the brain, and as with developing physical attributes such as stamina or strength, it takes time. The brain consists of a number of ‘zones’ and these areas are utilised to varying degrees by the seven learning styles. Blending Learning styles uses more of the brain, leading to the learner remembering more. Coracle’s Learning Line has been developed to support a blend of visual, aural, verbal, logical, solitary and social learning. Good luck on your learning journey. 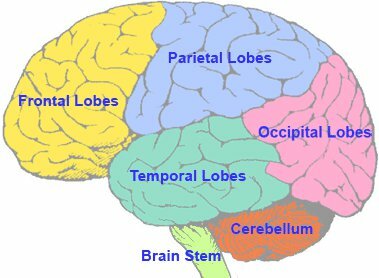 There is a vast array of information available online about the brain and memory. Here is one video from TED that we liked. Perhaps it will inspire you on towards your next learning journey..